If you are a federal employee and are considering early retirement, this article will help you understand your options and how to determine if early retirement is feasible. We’ll examine how your FERS annuity and Social Security payments are impacted by when you begin to draw them. We’ll also discuss factors that impact the optimal time to begin receiving income and withdrawing from your TSP account and other retirement assets. We estimate regular expenses based on pre-retirement budget. There may be some adjustments that need to be made, like reduction in fuel and car expense once the commute goes away or elimination of premiums on insurance that isn’t needed in retirement. Beyond the ongoing expenses are one-time expenses, and we plan for those annually. The reason is that even though a specific expense may not recur in a subsequent year, invariably another one-time expense – dental expense or home repair or something else – will crop up, so we set aside a specific amount for those expenses. Finally, we build in cost for healthcare expense, and as a Federal Government retiree, you may be eligible for retiree health coverage. If not, we’ll use a pool of data we have on spending by Medicare recipients to estimate the cost of coverage. Your plan may include expense categories in addition to those outlined above, or you might want to construct a two-tiered approach to spending in retirement, with early spending typically outpacing spending in late retirement. Regardless, you’ll want to begin by looking at pre-retirement spending and using those figures as a baseline for determining spending in retirement. If you have already built a detailed budget, coming up with an initial estimate of your retirement budget should be straightforward. If, on the other hand, you don’t have a detailed budget but do have a good grasp of your general spending level, that’s sufficient to get started on your retirement budget. Occasionally we work with clients that are uncertain of how much they are spending, but need to begin planning for retirement. For those clients, we look at all their income sources and back out savings, deductions for payroll items and income taxes paid and assume the amount remaining reflects their spending. We can use that number as a starting point for a plan and over time, the client can gather data to build a more detailed budget. One other consideration in retirement is healthcare. Medicare does not begin until age 65, so if you are retiring early, make sure that you understand both what your healthcare coverage will cost and what you’re likely to spend out of pocket. Once you have a good estimate of your retirement budget, you’ll want to estimate your retirement income. Both the FERS annuity and Social Security are reduced if you begin to draw them early, so be sure you understand the impact of early withdrawal. Furthermore, if you use the MRA + 10 option to retire before the age of 60 and you begin drawing your annuity at that time, you lose the Federal Employee Health Benefits and Federal Employee Group Life Insurance. 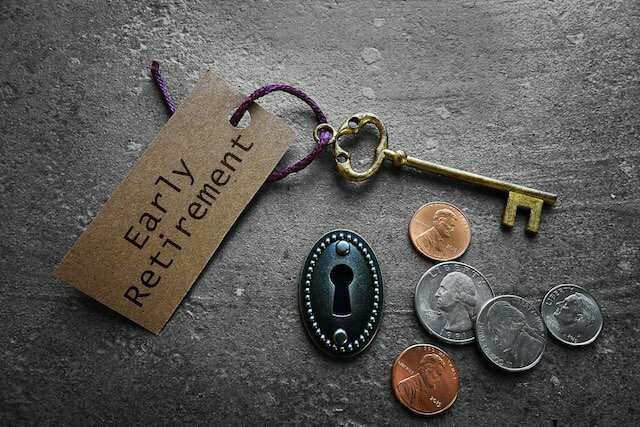 Given the reductions associated with taking Social Security and the FERS annuity benefit early, clients who have managed to save a significant amount for retirement may find it beneficial to draw on their savings and avoid drawing benefits early. Your retirement savings should be used to cover any shortfall between your estimated retirement budget and retirement income. You may find that the amount to be covered is unsustainable, and in that instance, you should revisit your plan to retire early. You can begin drawing your FERS annuity early, and the government offers a Special Retirement Supplement from age 60 to 62 if you aren’t accessing FERS using the MRA + 10 option. The supplement is meant to serve as a proxy for Social Security Income until you can actually begin drawing Social Security at age 62. However the earlier you draw benefits the greater the reduction in those benefits will likely be. The situation is similar with Social Security. You can begin drawing at age 62, but you won’t receive your full benefit until Full Retirement Age. Full Retirement Age is based on your date of birth, and for most people retiring now, it is somewhere between 66 and 67. For every year prior to Full Retirement Age, drawing early reduces your Security Benefit between 5% and 6.5%. Conversely, if you wait to draw your benefit beyond Full Retirement Age, the benefit increases by roughly 8% per year through age 70. Once you’ve reached the age of 70, there typically isn’t a reason to further delay taking benefits. If you are planning to retire early, but want to avoid drawing on the FERS annuity and Social Security due to the income reduction, you might turn to your TSP. However, when it comes to retirement accounts, in most instances, there is a 10% early withdrawal penalty for taking funds out before you reach the age of 59½. The TSP rules are a bit more permissive, and if you separate from service on or after age 55, TSP withdrawals are not subject to the 10% penalty. However, if you rollover the TSP funds to an IRA, you will need to wait until age 59½ to avoid the 10% penalty. Another option available to both TSP and IRA account holders is to set up substantially-equal periodic payments from your account. This is typically known as a 72(t) withdrawal, and it allows you to take a series of periodic withdrawals from your retirement account until age 59 ½ without being subject to the 10% penalty. However, there are a number of rules surrounding 72(t) withdrawals and running afoul of these rules will lead to penalties, so make sure you clearly understand the 72 (t) provisions before going down this path. The answer to this question differs from client-to-client. For most clients, if they need to supplement their retirement income by portfolio, their best option is to withdraw funds from taxable accounts. The reason is that withdrawal of pre-tax dollars – whether they are coming from the TSP account or an IRA – will be taxed as income and typically, the longer you can defer paying tax, the better off you will be financially. Nevertheless, there are a number of exceptions to this rule, and a financial plan would help identify the best options for you. Micah Porter is President and CEO of Minerva Planning Group, a CFA charterholder, and a Certified Financial Planner™ practitioner. He began work at Minerva in 2003 with extensive experience in business planning and corporate finance. © 2019 Micah Porter. All rights reserved. This article may not be reproduced without express written consent from Micah Porter.